Are any of these a surprise? No. The Oracle survey had a bit more nuance than most, but I’d say even those results are fairly easy to surmise. Of course, guests want to talk to a person on occasion, especially when there’s a problem. The reason we keep getting the same tired answers is that we’re asking the wrong questions. We keep asking about bullet points, things that can be checked off a tear sheet, instead of asking about quality. We relegate quality to that bored inquiry: How was the service? Instead, we should be asking about how well hotels are doing the things they are already doing. When the offerings that are already being offered are excellent, then we’re getting somewhere. Guests don’t want just any free breakfast, now do they? Guests don’t want slow WiFi. The fact of its being “free” doesn’t make it satisfactory, nor does the fact of new technology in and of itself make it desirable. For most hotels, the object right now should be to make the basic things exceptional before moving on to shiny, new technology. Tuning into your guests and finding ways not to give them more options, but instead using technology to execute your service and amenities brilliantly. I take this latter bit from a conversation I had with Kristie Goshow, the SVP of Commercial at Viceroy Hotels, at HITEC in June. She said, “To me, it’s about doing the simple things, but doing them brilliantly.” To this, I say, “Yes!” And technology can support that. In some cases, this means adding technology behind the scenes and in other cases, this means making the existing tech offerings for guests better. Hotels must first understand their niche and their guest expectations. Take mobile check-in, for instance. Right now, it is all the rage. Does that mean every hotel should invest in a mobile check-in app? Not necessarily. Mobile check-in apps probably make the most sense for larger brands, where the application can be installed and used at any hotel belonging to the brand, or for smaller chains and independents that have tech-savvy guests. In cases where mobile check-in does make sense, instead of focusing solely on monetizing it (or maybe in addition to…) why not make the mobile check-in sing? What if when a guest uses mobile check-in, the app asks them if they prefer down or hypoallergenic pillows, flat or sparkling water? Perhaps after the basics are covered, they are given the opportunity to order a bottle of wine to their room. Then guest service and/or housekeeping are notified automatically to have the items delivered before the guest even opens the door. How exceptional is that? Then there are the behind the scenes technologies that allow hotels to impress guests, just by ensuring that the guest’s stay runs without any hiccup. For instance, an already tech-savvy hotel brand that uses iPads or voice recognition technologies for in-room facilities like lighting, AC, TV, and room service benefits from technology that sends housekeeping an alert when the device’s battery falls below 10%. Or a hotel with a great deal of meetings and conference business needs to ensure public spaces and bathrooms are kept sparkling. A brilliant way to support this need with technology is to install tech that alerts housekeeping to do a status check when the bathroom door has been opened a certain number of times. The added benefit to each of these—both guest-facing and behind-the-scenes—technologies is the intrinsic opportunity to collect data. 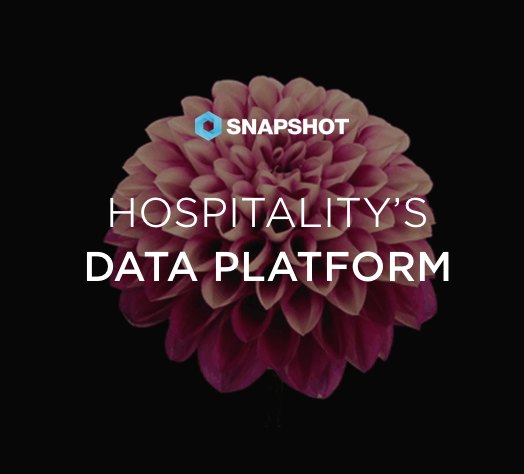 When integrated and analysed, the data can be used to automate purchase orders, create smarter processes, predict guest behaviour, which can create new opportunities to enhance guest service and increase efficiency, and have an overall better understanding of guests. This latter part may be the most important of them all. Now is not the time to keep adding technology thinking that guests want more instead of better. There will never be a time when guests don’t appreciate quality, and technology exists to support quality, whether back of house or out in front. Integrate technology into existing systems to make them better first. And when those systems excel, then add more exceptional guest-facing technology.